Four years ago, RefugeeConnect began an invitational soccer tournament as an opportunity to welcome refugees in a manner that is familiar to families across the world, with over 200 athletes (both men and women) from 12 teams from ten countries of origin competing. 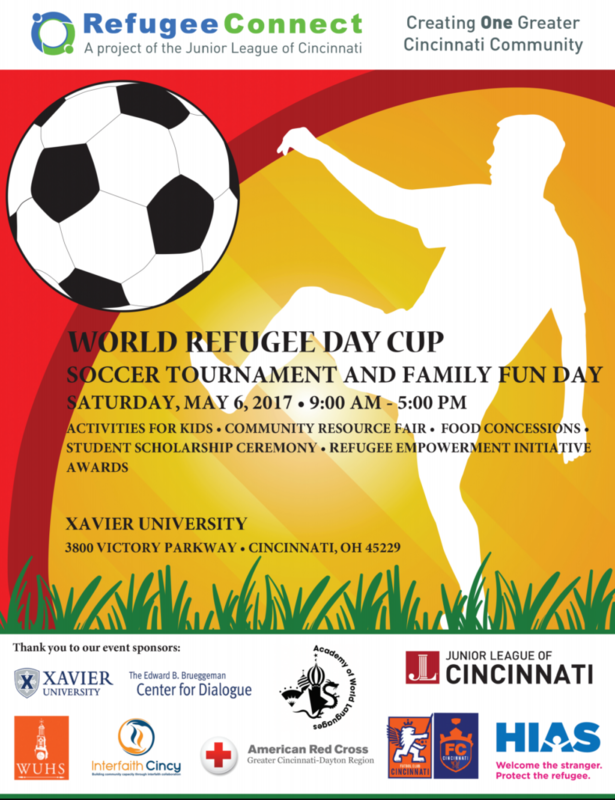 This event brings together communities in Greater Cincinnati for a family-friendly day that includes not just the “World Cup” style soccer tournament, but a family-fun area, a resource fair, and an awards ceremony! Your sponsorship and support makes this welcoming community event and others like it possible.